As our parents and relatives age, we’re often faced with difficult choices regarding their living situation. For aging family members, leaving their home for an assisted living situation is not the solution they want. Though we need to respect their wishes, how do you ensure the safety of your elderly family members when you aren’t around? From home renovations to elder care assistance, there are many options available to you to ensure everyone’s happiness and peace of mind. Today we’re going to review 4 ways you can help your aging loved ones stay in their homes as they age, also called Aging in Place. Whether you’re loved ones live in a two-story colonial or cozy ranch, you’ll likely need to consider some remodeling. One of the first places to consider is the bathroom: installing a curbless shower is a better option than a tub or shower with a high lip that people have to step over. Another upgrade is to be sure that there are flush transitions between rooms and flooring types – removing even slight lips between flooring can make it much easier for aging family members to get around their homes. Some other projects worth considering include having a no-step entry into the home (especially necessary for those in wheelchairs) and a great idea for those with walkers. Inserting a handheld shower handle and movable seat into the bathroom is a less expensive solution to help maneuver around a wet and slippery surface. The National Association of Home Builders provides an overview of other small modifications you can make on your loved one’s home, including installing sensor exterior lights, lever handles on faucets and pull-down shelving. If you have the financial resources, you can also take on more elaborate renovations. Doorway expansions and elevators can run into the tens of thousands of dollars, as they require structural overhauls of the home. Nevertheless, they might very well be worth the investment if your loved one is set on staying in the home they love. 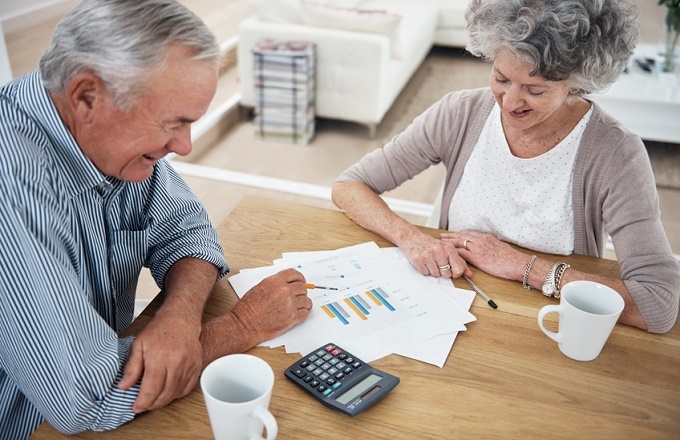 According to Senior.com, basic structural home modifications cost between $9,000 and $12,000 on average (for comparison, the average monthly cost for an assisted living home in the United States is $3,500). While it’s important for your loved one to have an established emergency network, help needs to arrive as soon as possible in the event of an accident or emergency. Fortunately, there are emergency devices available called Personal Emergency Response Systems (PERS) that aging residents can keep on themselves at all times. Emergencies aside, new apps and devices can also help aging residents keep track of daily tasks such as taking medication. MedMinder is a digital pill dispenser that users can program to dispense medications at a specific time. What’s more, users can check to see if their loved one actually took their medication! GrandCare Systems is a multi-purpose touchscreen system that keeps track of health vitals, diet and exercise plans while also allowing the user to watch videos and listen to music. If your loved one is living alone, it’s especially important to have an emergency plan in place so everyone knows what to do is something comes up. The plan should include the numbers and addresses of relatives, doctor offices, and hospitals. Keep an emergency kit with non-perishable food, water, medication and other necessary items in an easily accessible place. Home evacuation plans should be established, including a meeting place outside the home. Ensure your loved one carries a medical identification card that details allergies and medical conditions. It’s also important for aging residents to establish a support network in the event of an emergency. You can help your loved ones by communicating with friends, neighbors, and caregivers about their needs. Ensure these people have copies of keys and contact information. Designate someone to check in on your loved one during times of inclement weather, and have back up contacts for when the unexpected happens. While you may feel it’s your sole responsibility to take care of your aging relatives, elder care should never be undertaken alone. In fact, trying to handle elder care on your own can lead to mental and physical exhaustion and potentially hurt your relationship with your loved one. Having a helping hand take over while you’re at work, or so you can catch up on some personal time with family and friends is very helpful and will make it easier for you to care for loved ones over a longer period of time. Simply put, finding an elderly caregiver is something you owe to yourself and your loved one to take advantage of. Of course, finding the right person to care for your loved ones can be a daunting task. Where do you begin to find someone who works in elder care? How do you know the hired caregiver will treat your loved one with care and respect? Today there are a few routes to take. The traditional agency model involves you contracting a company that specializes in home care, which will then send an employee that meets your need. However, home care today is also shifting to companies like CareLinx and KindlyCare, where people can meet potential caregivers without the need of any intermediary. These “sharing economy” companies reduce overhead costs for the hiring party while ensuring decent wages for employees and are a great new alternative. What do you think about aging in the home? 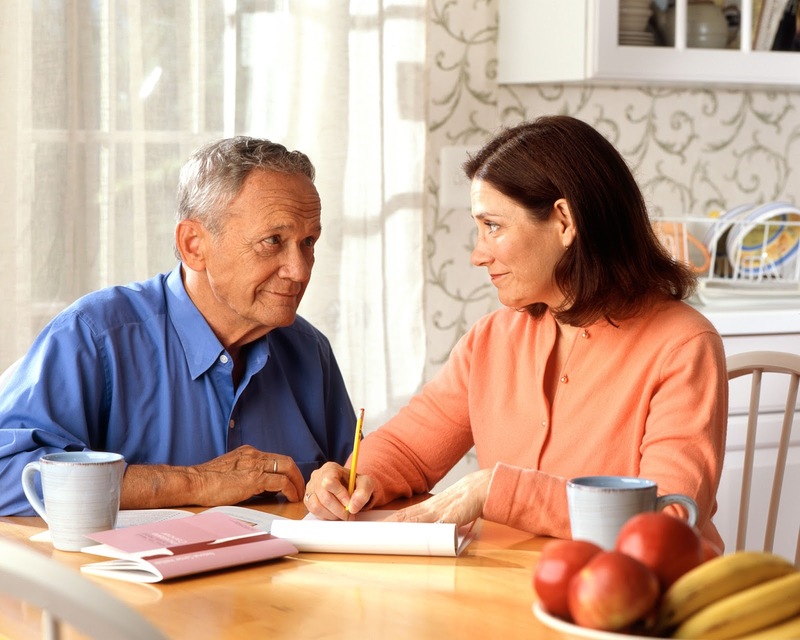 What suggestions do you have to help your loved ones stay happy and healthy in their home? Let us know in the comments. Contributed By: Kathleen Webb Co-founded HomeWork Solutions in 1993 to provide payroll and tax services to families employing household workers. Kathleen has extensive experience preparing ‘nanny tax’ payroll taxes. She is the author of numerous articles on this topic and has been featured in the Wall Street Journal, Kiplinger’s Personal Finance, and the Congressional Quarterly. She also consulted with Senate staffers in the drafting of the 1994 Nanny Tax Law.